Truck Camper Magazine reviews a 2016 Rayzr FB, a hard side cabover-less short bed truck camper targeting half-ton trucks. Can this concept compete in the increasingly crowded half-ton camper market? 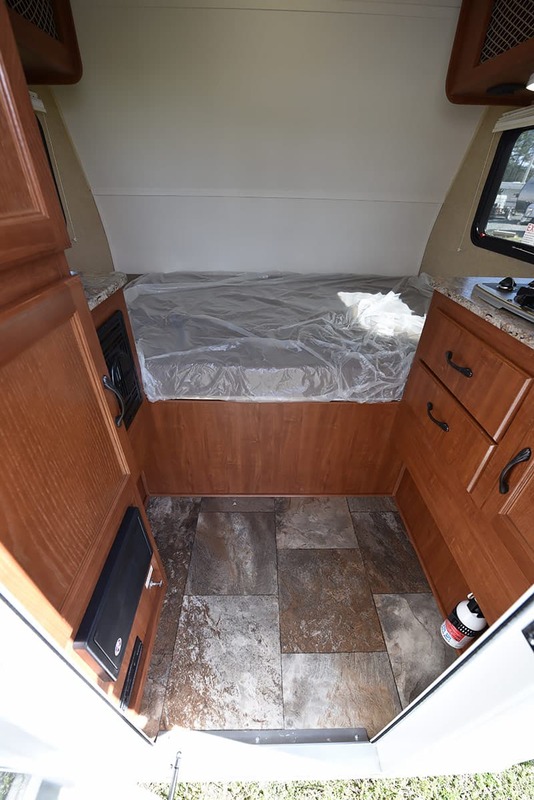 In September of 2015, Travel Lite shocked the truck camper industry and community by launching Rayzr, a new truck camper brand, and debuting not one, not two, but three all-new cabover-less truck campers. Without a doubt, the most shocking element of the Rayzr line was the cabover-less design and aesthetic. Looking more like a semi-sleeper than anything in the truck camper marketplace, the Rayzr was a bold vision for the lightest weight, lowest price, most half-ton compatible hard-side truck camper Travel Lite could build. 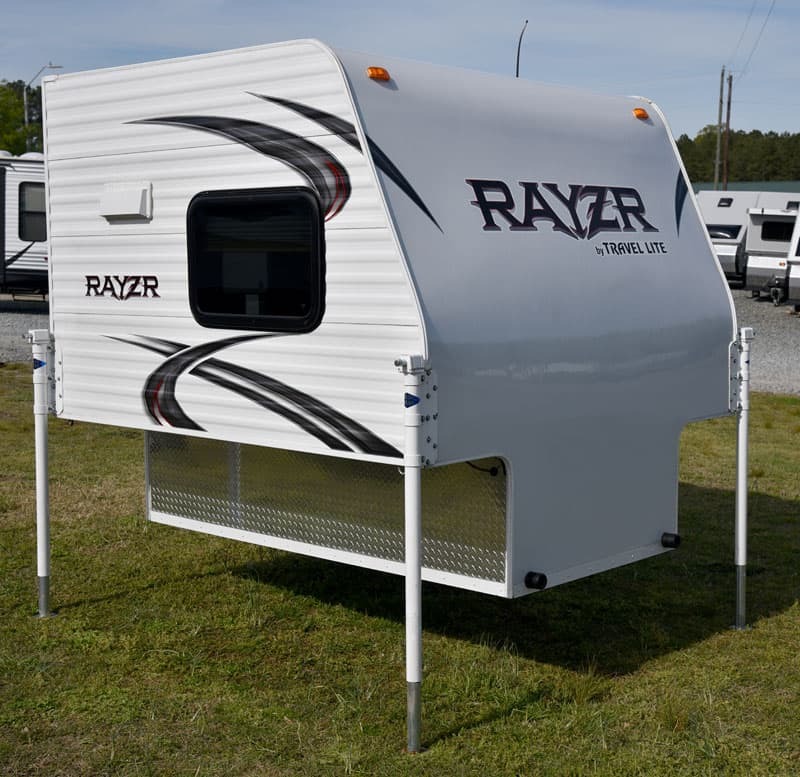 To achieve the lightest weight, lowest cost, and broadest truck compatibility possible, Rayzr campers are non-basement designs, framed with kiln dried Banak wood, hung wall constructed, and feature netting instead of cabinet doors in many locations. “We kept the Rayzr simple and didn’t design in anything extra. We didn’t want to overcomplicate this product,” stated Dustin. In his introduction for the Rayzr FB model, Dustin said, “The FB is our Front Bed model. 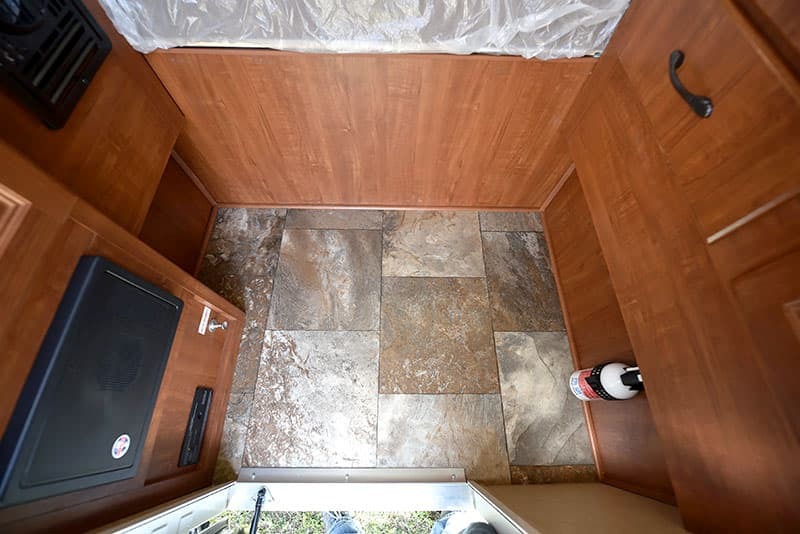 It has a sink, a nine gallon fresh water tank, propane stove, and a propane heater. There’s space under the bed area to store a cooler. The FB would be perfect for a weekend trip.” He went on to suggest the FB was his favorite Rayzr. 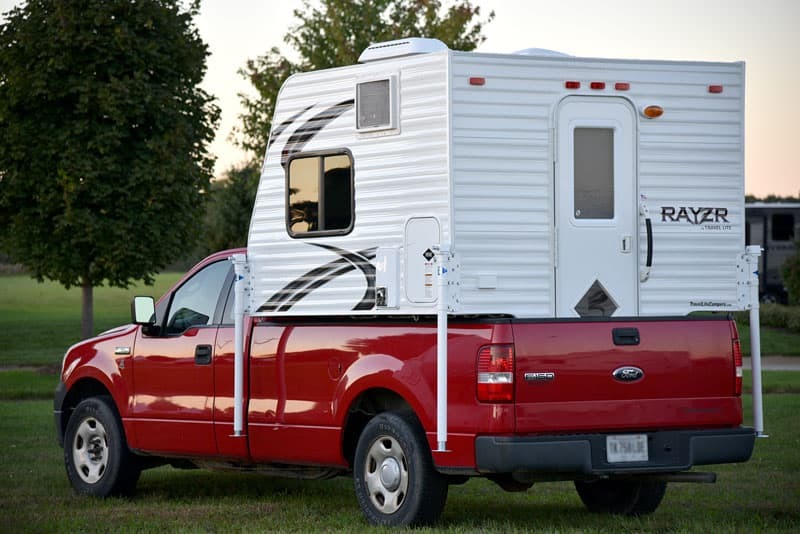 Our question is this; Does the cabover-less Rayzr FB really make sense for truck camping? All too often ideas look great on paper (or electrons) but don’t translate into the real world. It’s time to dig deep into the Rayzr FB and find out if this concept can compete in the increasingly crowded half-ton camper market. For this review we traveled to at D&H RV Center in Apex, North Carolina. During my college years and the near decade that followed, I lived in an oddly coincidental series of 9-foot by 9-foot rooms. 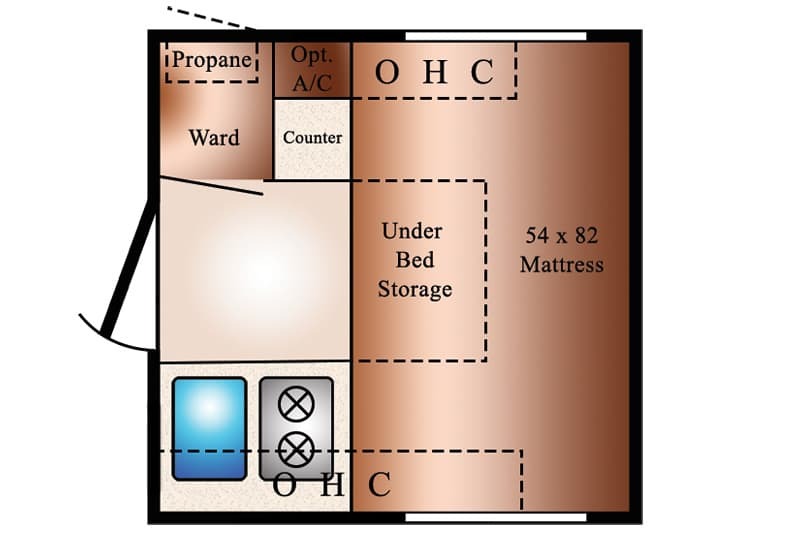 It became almost comical as dorm rooms and then rented rooms were nearly the same dimensions. I bet if I had been arrested during that time period (you know, for being so funny – looking) my prison cell would have been exactly 9-feet by 9-feet. The only difference being that I’d been sharing my precious square footage with Bubba, who might find my humorous appearance a little too attractive.